Having issues with one of Google's many services? Maybe you can't figure out how to save an address in Google Maps, or how to edit a calendar event. Instead of contacting the search giant directly, Google has set up a new help service, called Google Tips, that currently spans thirteen of its products. The new service sports a familiar card layout, which has been implemented across many of the company's biggest products, including Google Now. 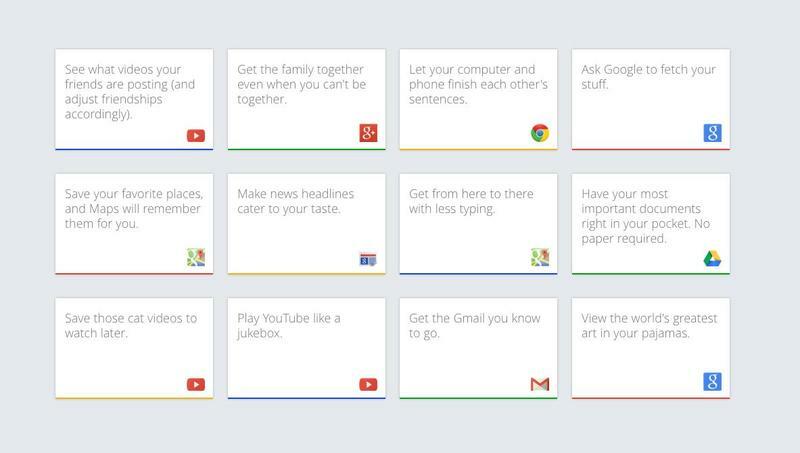 Categories include: Search, Chrome, Android, YouTube, Docs, Drive, Play, Calendar, Keep, News, Google+, Maps and Gmail. When you're signed in, Google Tips displays some of the most frequently searched for queries—visiting the page right now, Tips offers suggestions such as "Getting from here to there with less typing" in Maps, and "Playing YouTube like a jukebox." Sifting through the Google Tips, you can filter tips down by mobile, home, office and by product. When you click a card you'll get a simple explanation on how to achieve that tip, including what you'll need, where you can use that specific feature (Android, Web, iOS, etc. ), and a step-by-step slide show of how that feature works. You can even share cards with friends through email, Twitter, Facebook and Google+ if you know someone that could benefit from one of Google's tips. The feature is actually quite useful, and answers quite a few questions about Google's many different arms. There's even an area where you can suggest ideas for future tip cards, meaning the service will definitely expand in the future. By explaining its services so simply, Google is making things like Docs, Google+ and Drive more accessible for those unfamiliar with how to use them.